A short drive south, away from the hustle and bustle of the metropolis is a city that holds so many things to enjoy. It has something for everyone, whether young or old, affluent or not, as it is one of the premiere tourist spots in the Philippines. We are talking travel to Tagaytay, one of the places nestled in the mountains that make up the Cavite-Batangas range and haven for cheap travel. It is one of the best places to visit when you have time as it can truly recharge your batteries for the week ahead. The climate is inviting as it rivals that of renowned Baguio. The air is fresh and the produce is affordable and luscious beyond words. The landscape is lush and the people are generally friendly. It is a perfect tourist spot that is very accessible to a lot of people. It is becoming a haven for pleasure seekers, for nature lovers and for those who seek tranquility amidst the pressures of society. 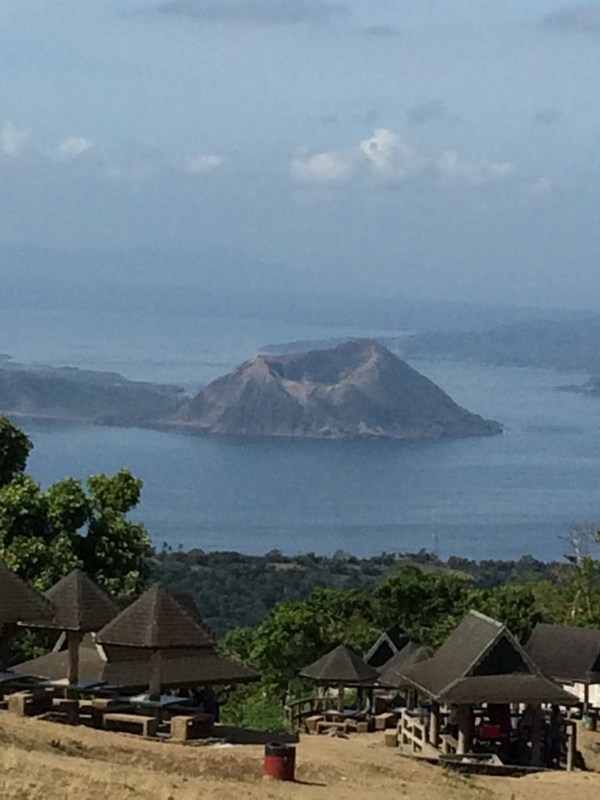 Taal Volcano – Tagaytay is the perfect travel point to view the magnificence of Taal Volcano. Choose from one of the different inns and dining places overlooking the volcano and have a family outing to remember. Enjoy cheap home-cooked and specialty cooking from the restaurants or bring your own viands and have a picnic. Buy affordable and cheap fresh fruits to finish everything off and enjoy the picturesque view. Skyranch – Travel to a cheap amusement park that caters to both young and old, Skyranch offers a variety of attractions. For kids and the young ones, there are the usual amusement park rides to entertain them. For the adventurous at heart, the zip lines await and for those who are not faint of heart, the giant Ferris wheel offers a perfect view of the surroundings. Other attractions inside the park include mimes and performance artists and some booths offering souvenirs. People’s Park (Palace in the Sky) – The attraction of People’s Park in the Sky is in the beauty of the view it offers. 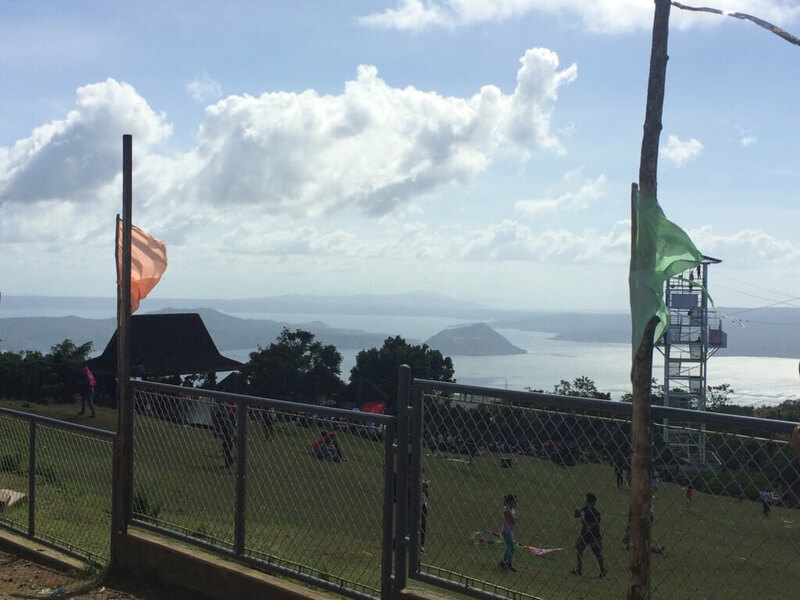 It has a great view of the Taal Volcano and the Taal Lake. It is basically a picnic area that has booths that offer locally made products and delicacies. Visitors can rent huts for a nominal fee to enjoy the facilities more. It is one of the most affordable and cheap travel tourist spot for appreciating the view of nature’s beauty. Picnic Grove – Despite the name, the Picnic Grove offers more than just a good picnic spot for families and groups on tour. It has a paintball arena, a horse riding facility, a long walking area and the usual cheap souvenir shops galore. It has a good viewing deck for tourists to enjoy the scenery as well. Paradizoo – If you’re searching for a cheap place that will entertain and educate at the same time, then Paradizoo is just the place for you and your family. It has several areas with experienced tour guides who know how to handle animals and teach spectators about their role in the environment. There is a butterfly sanctuary which also teaches how important the species are to food production and the environment as a whole. A vegetable garden also teaches tourists how to grow their own food and enjoy fresh produce any time of the year. Caleruega Church – A popular place to hold weddings and retreats, Caleruega offers more than just that. It is also a venue for team building workshops and nature communes. The Chapel on the Hill is one of the prime attractions of the tourist spot. Wander the grounds and find the koi ponds and the hanging bridge which leads to a more majestic view of the surrounding communities. The place will make you appreciate the beauty of nature and will help you find inner peace with its meditation spots. Look over the fence beyond the hanging bridge and find affordable and fresh coconut juice to quench your thirst. The Pink Sisters Chapel and Convent – Known for the Holy Spirit Adoration Sister who wear their pink habits with pride, the place is good not for relaxation but for getting back a piece of yourself. Visitors can spend some hours away from the stress of daily life as they seek to commune with God amidst the singing of the sisters. Write your prayer petitions and the nuns will include it in their prayers. Don’t forget to drop by the booths to support the church. Museo Orlina – Those looking to absorb some art would do well to visit the haven of National Artist for Sculpture Ramon Orlina. The museum exhibits the various masterpieces of the master himself following different themes. The top deck offers a great view of Taal Lake while enjoying a freshly brewed cup of locally sourced coffee and treats. Puzzle Mansion Bed and Breakfast – Jigsaw puzzle enthusiasts would definitely love it here as this is renowned as the Biggest Jigsaw Puzzle Museum in the World. A little bit out of the way, but worth it if you want to get to know the person behind all the puzzles. Visitors can also buy puzzles in the shop and have a slice of rich coconut pie to top it off. Our Lady of Manaoag Church at Tierra de Maria – A small quiet place that quickly fills up with visitors, it does make for a good place for solitude and meditation. Travel to this Church and try to come in before the crowd and you’ll get a deeper spiritual experience that will refresh your soul and make you feel good about the prospects of the future. There are more interesting sites and sights to discover along this rich piece of land in the scenic cradle between Cavite and Batangas. The climate is inviting and the food is affordable and rejuvenating for both the body and the soul. It offers something for everyone and makes for a good destination for those seeking to unwind after a long week. Highly accessible by most vehicular transports, it will continue to attract visitors and investors alike for the coming months and years ahead. Tagaytay will never disappoint and will continue to bloom as only a flower in God’s garden can.